Parellada, Macabeo and Xarel·lo, traditional Catalan grape varieties, are the basis of Torres 5, aged using the traditional system of "soleras". After a meal comes the moment of rest, relaxation and reminiscences. This is the moment for a brandy, the moment for a sensual, relaxed and generous beverage. Their brandies have been distilled from the best and most appropriate white wines and aged with skill and patience in aromatic oak wood barrels until they become a mere caress on the senses. This is why they are famous the world over. The careful selection of grapes, artful destillation, and long aging in premier quality oak barrels have produced a brandy of extraordinary aromas and flavours. Tasting Notes Topaz-coloured, with fine greenish and old gold tints. 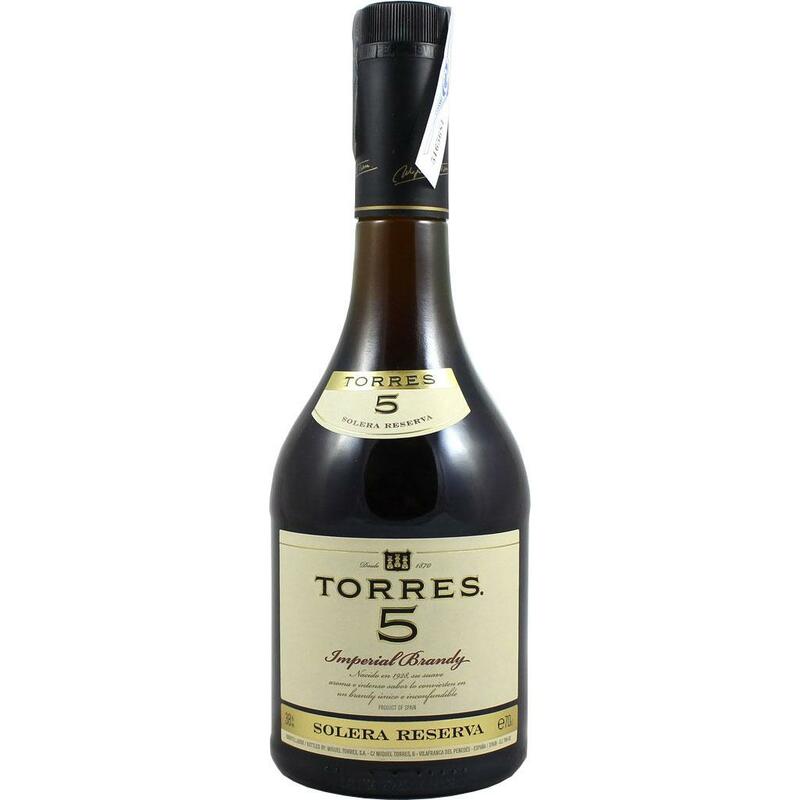 Deep and dense, it exhibits aromas of great richness with hints of walnut and dried fruit. It is intense, silky and concentrated on the palate. It displays warm spicy overtones of vanilla and cinnamon in the aftertaste. In this moment there're 52 guests online.